Bringing over 25 years’ experience in the marine propeller industry, Oz Propellers is a family owned and operated business in Queensland. Specialising in all types of boat props including outboard and sterndrive propellers, we’re confident that you’ll find what you need from our online store. Stocking world renowned brands including the likes of Mercury and Yamaha, our range of boat propellers is sure to impress. With our competitive prices, you can enjoy premium quality without breaking the bank – if you find a cheaper, identical product elsewhere, we’ll beat the price! From Townsville to Sunshine Coast and beyond, our boat propellers are delivered right across Queensland and shipped Australia-wide. Browse through our range today! Delivering boat propellers to all areas of QLD including Brisbane, Gold Coast, Sunshine Coast and Townsville! 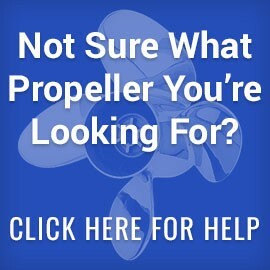 Wherever you are in Queensland, we’ll be sure to supply you with the correct propeller for your boat so you can feel confident that when you purchase a prop through us. To discuss your specific needs, please feel free to contact us today on (07) 5326 1702.